Zoe Luce is a successful interior designer in the Arizona town of Whispering Springs who's developed an unusual career specialty - helping recently divorced clients redesign their homes, to help them forget about the past and start anew. But Zoe knows that some things can't be covered up with a new coat of paint. And when she senses that one of her clients may be hiding a dark secret, she enlists P.I. Ethan Truax to find the truth. Everyone thought Jessie Benedict's impending marriage to Sam Hatchard was a great arrangement - everyone, that is, but Jessie herself. Was she the only one who could see that Hatchard, her powerful father's protege, had a scheming ulterior motive in marrying her? He was more than just a chip off the old workaholic's block - he was positively lusting after Jessie's inheritance to build his own business empire! Months ago Sarah Gallagher woke from a coma with psychic abilities she couldn't control. They changed her life and cost her the man she loved. And now, someone is playing games with Sarah's mind. It begins with Sarah's home being destroyed by fire - an act of arson that draws novelist Tucker Mackenzie into Sarah's confidence. But he has other reasons for pursuing a woman who can see what others can't. So does a mysterious enemy intent on eliminating Sarah, and everyone she cares about. Because it's only a matter of time before her visions lead her and Tucker to a secret many will kill to hide. It's a pub in lower Manhattan, run by the Finnegan family for generations and now owned by Kieran and her three brothers. Kieran Finnegan, who still works there whenever she can, has become a criminal psychologist - a fitting reaction, perhaps, to her less-than-lawful past. Meanwhile, New York's Diamond District has been hit by a rash of thefts. No one's been killed - until now. A man's quest to find answers for those who are haunted by the past leads him deeper into the shadows in this electrifying novel from The New York Times best-selling author of Promise Not to Tell. 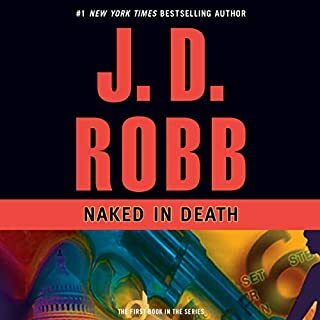 Jack Lancaster, consultant to the FBI, has always been drawn to the coldest of cold cases, the kind that law enforcement either considers unsolvable or else has chalked up to accidents or suicides. As a survivor of a fire, he finds himself uniquely compelled by arson cases. His almost preternatural ability to get inside the killer's head has garnered him a reputation in some circles - and complicated his personal life. The more cases Jack solves, the closer he slips into the darkness. His only solace is Winter Meadows, a meditation therapist. After particularly grisly cases, Winter can lead Jack back to peace. GREAT STORY - GREAT CONCLUSION! I won’t give out spoilers, but if you have been following this series you will not want to miss this book. And Arizona Snow makes a brief appearance which is always a treat. The story flows smoothly, and it has a very nice and anticipated ending. Highly recommended. A very enjoyable listen! I truly enjoyed the story of Winter and Jack in this romantic suspense. Jack and Winters chemistry flew off the pages. The characters came to life, and so did their romance. The suspense of probability and their encounters as they hunt for clues, kept me riveted to their story to the very end. Cobb did a fantastic job on the narration of their story!! Will there be a follow-up? Hoping! I have enjoyed this book very much. 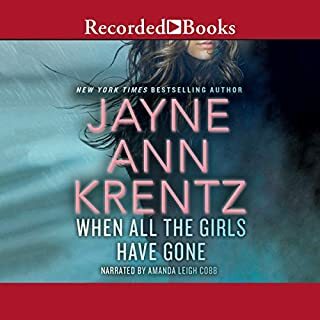 I am a long time reader of Jayne Ann Krentz books. I'm rarely disappointed and even when I am disappointed with an initial read. I revisit the story and find that I like the story after all. This one was no different; it was a delight and when I was away from the book I couldn't wait to get back to see how the next page was going to turn out! An exciting and well told end to this trilogy. I am sad to see this saga come to a close. Jack and Winter are well written characters and have great chemistry. I loved wvery minute of this one! enjoyed the final installment in the series. It was good but not much action. 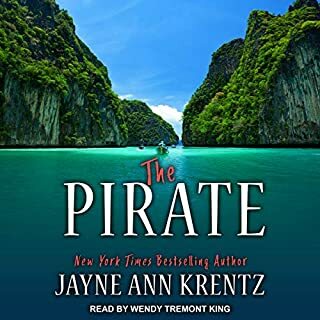 I did enjoy the characters from other books by Ms Krentz in this story. AZ and the town of Eclipse Bay. That is a good series too. This was a well written series. you really get to know the characters and the plot is involved. I'm a fan of Krentz and all her pen names. Have not bought any of her latest Krentz books in years. I know I'm not interested in the themes she was writing about. I bought this one because the premise sounded good, the narrator sounded good, so I gave it a try. I got a few chapters in and felt I must have missed a chapter, so listened to the beginning again. NO, didn't miss a thing. Oh my goodness, some of the dialogue was... yuk...silly. There wasn't enough detail or in depth background of the characters talents. I wanted to learn more about the talents of the these two characters and didn't feel the research was shared. Made it about 2/3 thru. I’m sure many of you will love this and if you do that’s okay. I haven’t enjoyed any of Krentz’s books in a little over a couple years. 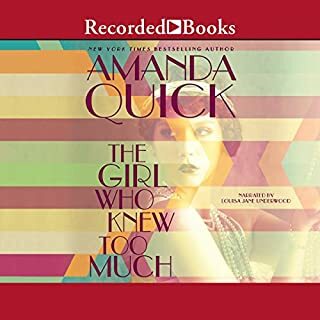 This is my fault as I fell in love with her Arcane series, the Amanda Quick witty and thoroughly enjoyable adventures, and others with paranormal gifts (with exception of the Castle books, don’t like ‘dust bunnies.’) I’m calling it quits and it saddens me as Ms. Krentz has given me many enjoyable hours and greedy me wanted more. Evidently she’s going thru a mid-writer’s crisis and I’ve lost hope that she will come out of it. I enjoyed this book because it’s the final conclusion to the search for Quinton Zane. 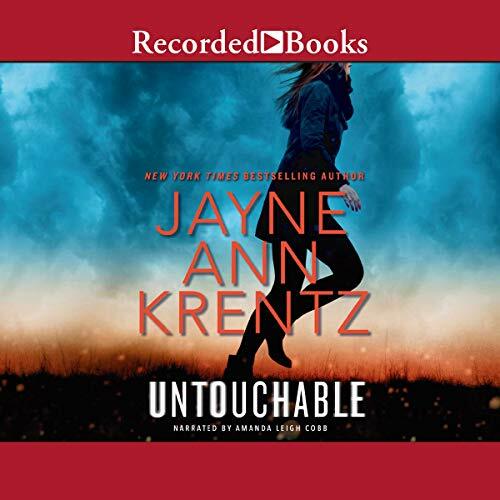 I always enjoy reading Jayne Ann Krentz. 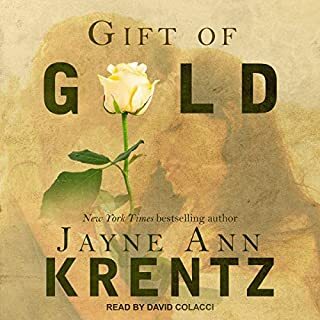 The narrator was really good and I look forward to listening to more of Jayne’s books. This was a fine way to finish the series of stories about the foster brothers/sons that were forged together as a family by the flames set by a charismatic crazy man. His full personality comes out in this story as he is one of the main characters, rather than a background one. Jack and Winter both have unusual talents. Readers who are not very familiar with Jayne’s work may find it strange, but regular readers will be quite comfortable with their abilities.